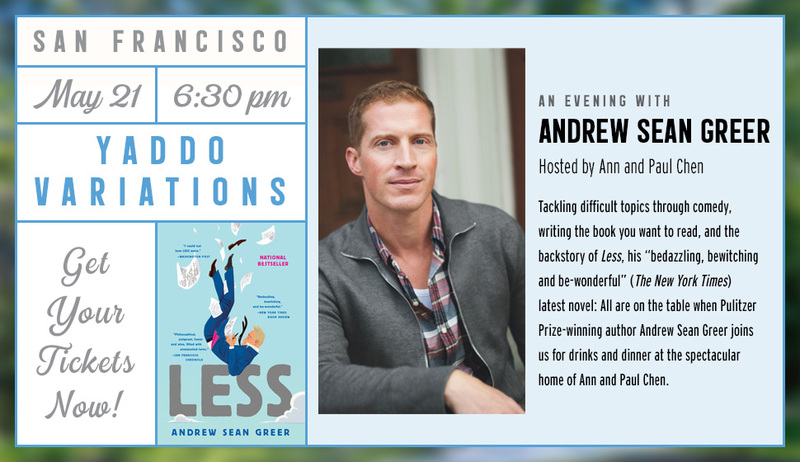 Andrew Sean Greer is the Pulitzer Prize-winning author of six works of fiction, including the bestsellers The Confessions of Max Tivoli and Less. Greer has taught at a number of universities, including the Iowa Writers Workshop, been a TODAY show pick, a New York Public Library Cullman Center Fellow, a judge for the National Book Award, and a winner of the California Book Award and the New York Public Library Young Lions Award. He is the recipient of an NEA grant, a Guggenheim Fellowship, and the 2018 Pulitzer Prize for Fiction. He lives in San Francisco.